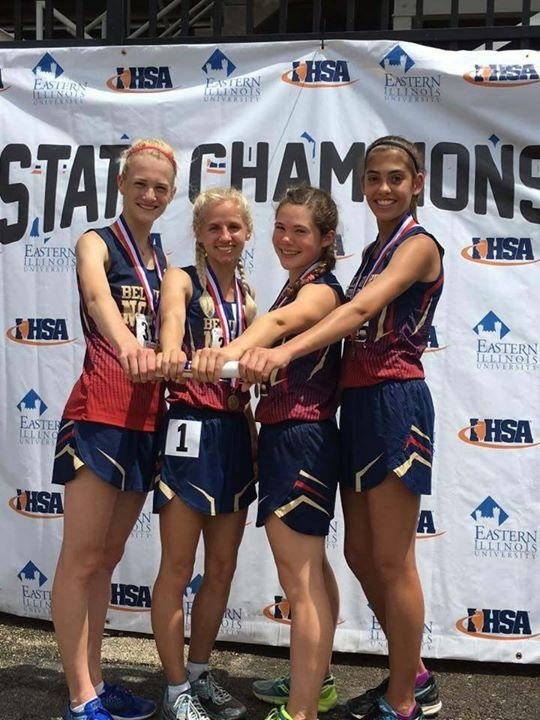 Congratulations to Heat Varsity player Madison Diercks(Belvidere North) for winning the Class 3A Championship in the 4 x 800 with a time of 9:12:12 this weekend at the High School State track meet held at Eastern IL University. Great job ladies. All Heat Coaches, Players, Parents, and Fans are proud of you! Heat 7th Graders Win State! Congratulations for two 7th Grade Girls of the Heat family for placing 1st and 3rd in the high jump at the Jr High State track meet held this weekend in Peoria. Miyah Brown(Winnebago) ties state record at 5’4" and Renee Rittmeier(Winnebago) jumped 4’9" to secure 3rd place. Great job ladies. All Heat Coaches, Players, Parents, and Fans are proud of you! Heat 8th Graders Place at State! Congratulations for two 8th Grade Girls of the Heat family for placing 1st and 3rd in the high jump. 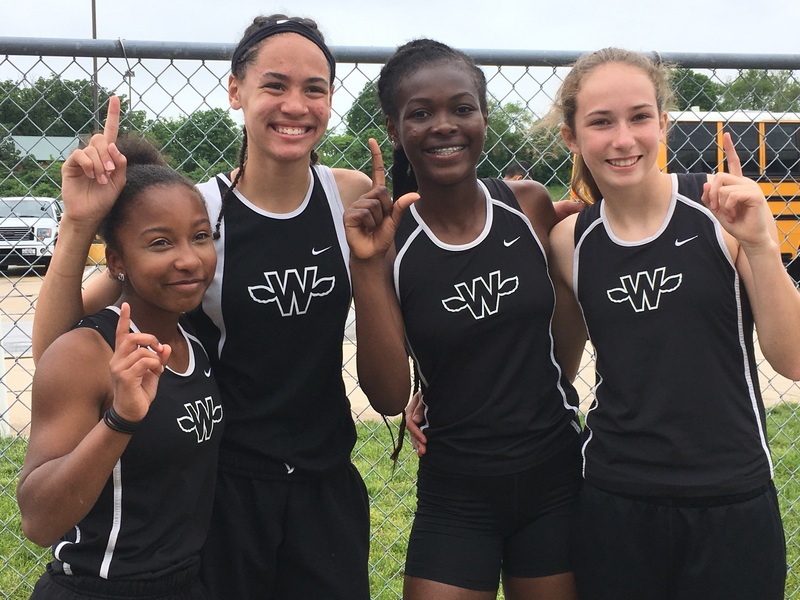 Miyah Brown(Winnebago) ties state record at 5’4″ and Renee Rittmeier(Winnebago) jumped 4’9″ to secure 3rd place. Great job ladies. All Heat Coaches, Players, Parents, and Fans are proud of you! Alicia Limones Signs With Ellsworth College! Mardaeja Cross Signs With Iowa Central College! Elizabeth Bankhole Signs With Lincoln College! Madison Davis Commits to California Baptist University! Shout out to Heat Elite Player Madison Davis(Rockford Lutheran) for being the first in the Class of 2018 to verbally commit to accept a full scholarship to further her education while playing basketball for NCAA D1 California Baptist University! Madison will be showcasing her skills in the Western Athletic Conference in the fall of 2018. Madison is a Shooting Guard that has made her name from the 3 point line since freshman year and has continually improved on ball handling and attacking the rim as well! Even though her offensive skill will impress, Madison uses her length to play high level man to man defense and can guard anyone. Madison has played on the Elite team since her freshman year and has risen to the challenge of top competition from around the country! It is very rare that I get to coach a player for 3 years at the Elite level, I have been impressed ever since the first time she walked into the gym with her work ethic and willingness to learn. Madison has racked up several accolades with many All Star nods from multiple national tourneys on the AAU circuit. Madison picked up full offers from NIU in addition to California Baptist University along with heavy interest from schools that span from coast to coast before she made her decision.